SALT LAKE CITY (KSTU) -- The arrest of nurse Alex Wubbels has sparked huge policy changes at the University of Utah Hospital, hospital officials announced Monday. In a press conference, top members from the hospital said nurses will no longer come in contact with law enforcement. "I need to make sure that this never, ever, ever happens to any of our care providers again," said Chief Nurse Margaret Pearce. On July 26, Salt Lake City Detective Jeff Payne arrested Wubbels, after the hospital said she wouldn't give officers a blood draw from an unconscious patient. 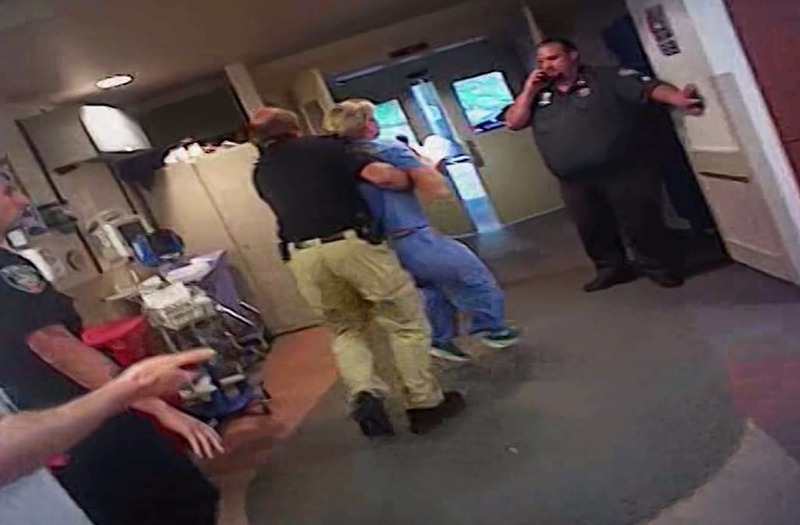 In body camera and surveillance footage, Payne is seen forcing Wubbels out of the hospital. She gets handcuffed and put in his police vehicle before she is later released without charges. Detective Payne and Salt Lake City officers tell Wubbels they should be able to get the blood draw, according to the law. University of Utah Department of Public Safety Chief Dale Brophy said his officers from the university who were present during the arrest thought the same thing. "They were under the same impression the officers from Salt Lake City were, that they had implied consent to do that," Brophy said. "In hindsight, we all know that that's not the case." "Alex Wubbels stood firm, and upheld hospital policy," University of Utah Hospital CEO Gordon Crabtree said, at the Monday press conference. The hospital and police department apologized for the incident. "I apologize to her for what she had to go through," Chief Brophy said. "She’s a rock star. She did everything right in this case, and she didn’t deserve to be arrested for what she did." Brophy said their department "jumped in the backseat, instead of riding shotgun," with how they handled the incident. He said university officers are now undergoing de-escalation training and they are now implementing a new protocol with the hospital going forward. Hospital officials criticized Payne's actions. "His actions were out of line," Crabtree said. "There's absolutely no tolerance for that kind of behavior in our hospital." Then the hospital talked about the new policies put into place to prevent this type of situation in the future. Pearce said several people met the very next day after the arrest, to come up with the new plan. It was implemented over the course of the next two weeks. "Number one: The nurses do not interact with law enforcement," Pearce said. Instead, officers will only interact with supervisors. Number two: "We will never interact with the police department on patient care area," Pearce said. "This is never acceptable, and if there's a discussion or an issue, it needs to occur outside the patient care environment." When asked if Wubbels has returned to work, the hospital said they allowed her the time off she needed, which they said ended up being about a week and a half.